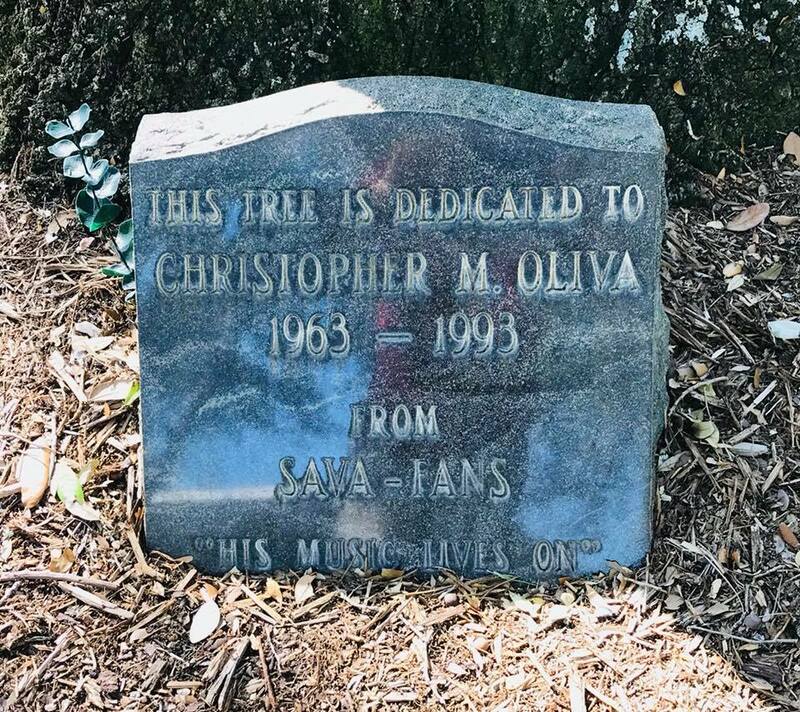 October 17, 2018 will mark the 25th anniversary of the death of Criss Oliva (b. Christopher Michael Oliva--April 3, 1963), lead guitarist and co-founder for the Tampa Florida band Savatage. Criss formed the act in 1978 with his brother Jon (lead vocals, guitar, ex-bassist) under the original title of Avatar. As Avatar, the band played live gigs for five years before changing their name for copyright issues. Combining "Sabotage" and "Avatar", the name Savatage was adopted. Savatage released their debut album, 'Sirens', in 1983 and followed in 1985 with 'The Dungeons are Calling'. Both were recorded the same day at the famed Morrisound Studios in Tampa, but divided into two releases due to running time. Criss's playing style was unique with an immediately recognizable full step down dropped tuning, making Savatage much heavier tonally than most of their contemporaries. Oliva was every bit in league with your George Lynch, Eddie Van Halen, Randy Rhoads, etc. guitar players. He could shred just as fast but maintained melody with the solo being a part of the song and not just obligatory 80's Heavy Metal noodling. The band became commercially successful in 1985, signing with Atlantic Records, releasing eight albums on the powerful label over a ten year period. During that course, the band changed their style progressing into more classical and atmospheric territory. Take "Prelude to Madness" from 'Hall of the Mountain King' for example. Tell me that wasn't a precursor to Trans-Siberian Orchestra. Just six months after the release of 'Edge of Thorns', the band's sixth record, Criss lost his life on a Florida highway. On October 17th, 1993, a drunk driver crossed the median on Highway 301 in Northern Tampa. His car hit Criss's Mazda RX-7 head-on, killing Criss instantly. Criss's wife Dawn, whom he dated since middle school and married in 1984, was critically injured in the crash. The driver had seven prior drunk driving convictions and ended up only serving 18 months of a five-year manslaughter charge. Criss's justice was never dealt. 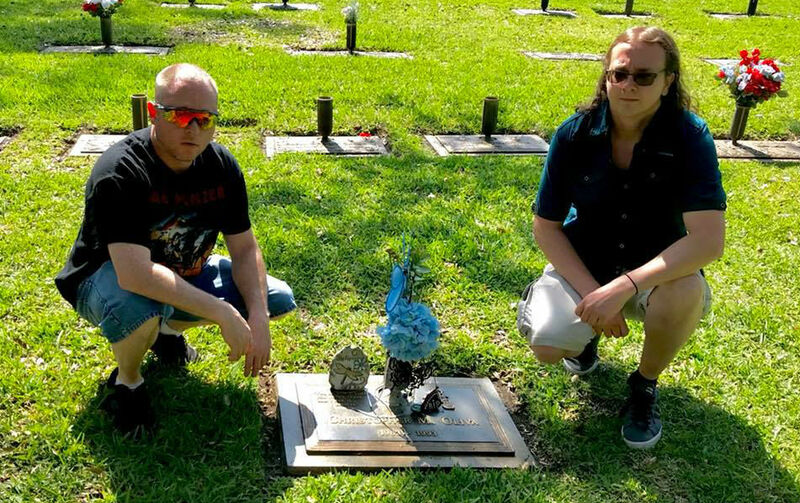 In remembrance of the 25 year anniversary, part of the Maximum Metal staff--Eric Compton and Josh Greer--joined fellow Savatage fan Wayne Wells for a visit to see Criss. He rests in peace at the Curlew Hills Memorial Gardens in Palm Harbor, Florida. According to the cemetery staff, Criss receives a lot of visitors. It's a testament to him as a heavy metal pioneer, an artist, a husband and a wonderful human being. The music will live on forever and despite standing in a graveyard surrounded by death, an overwhelming comfort was felt that day in honor and respect to one the most underrated 1980's Heavy Metal guitar players. Staring from this end into your life"